There is increased functionality within PowerBI Pro. 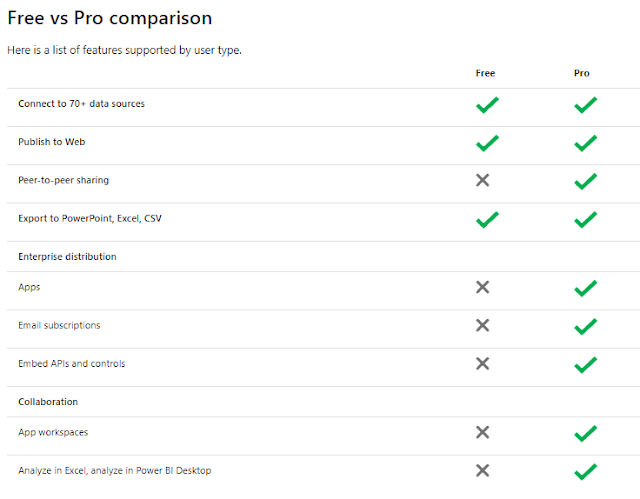 A comparison between the free PowerBI desktop edition and Pro version is in the table below. Only Pro users can publish content to app workspaces, consume apps without Premium capacity, share dashboards and subscribe to dashboards and reports. Free users can connect to all data sources using connectivity options such as DirectQuery, live connection and use the data gateway. SQL Server Enterprise Edition with Software Assurance. A Power BI Premium license enables creation of a hybrid deployment (cloud and on-premises). The session delivered by Isabelle Van Campenhoudt at SQL Saturday Cambridge shared this useful capacity planning paper. It is based on the sample Power BI Report Server topology using virtual machines. 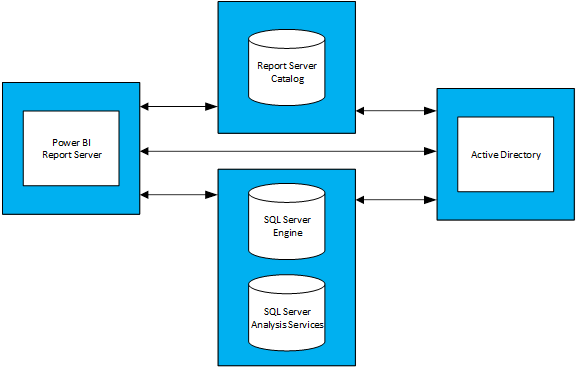 What is PowerBI Report Server?